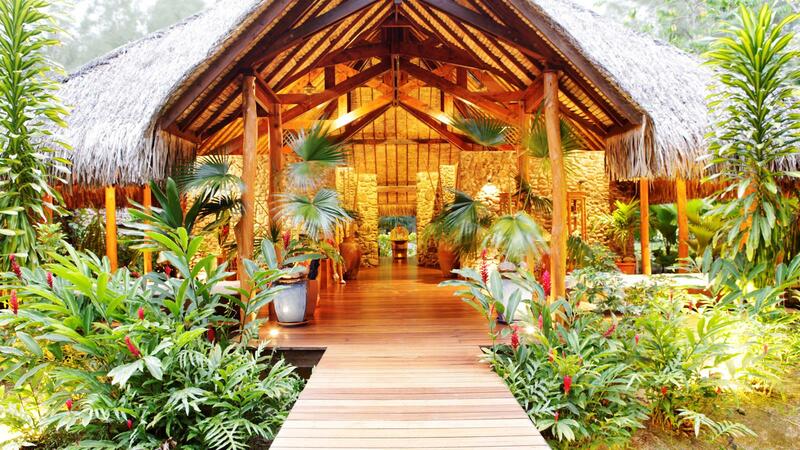 The Tavai Spa at the Bora Bora Pearl Beach Resort & Spa combines traditional Tahitian architecture and materials with the comfort of state of the art facilities and equipment. The exotic wooden panelled treatment rooms create a feeling of warmth and comfort while the Tahitian personality is accentuated by coconut tree, kaori, bamboo and lava stone. The serene thatched roof pavilions, set on stilts above a beautiful lily pond in a luscious tropical garden, are so lulling and comfortable that you will never want to leave. Shaded by verdant tropical foliage, Tavai Spa offers authentic and rejuvenating treatments in calm seclusion, where exclusive Spa rituals will provide the experience of a lifetime!